I spent a few weeks working in Norway last year. Every day on my way to work I passed this road sign. I came across it on my phone today. 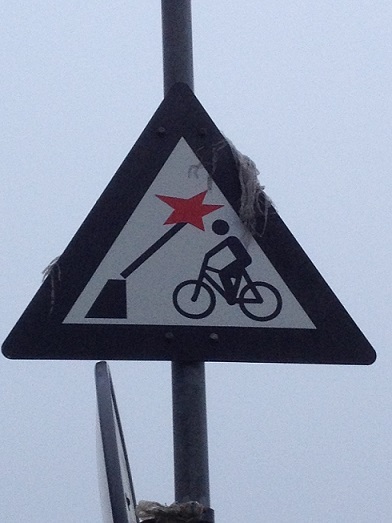 It makes me smile each time I see it… the things we cyclists have to put up with! Apparently today is the most depressing day of the year. If this doesn’t help get rid of the blues I’d suggest a few miles on a bike, but mind your head!